Venom has had a variety of villains over the years and many of them are other sybmiotesoffspring of his symbiote. While Eddie Brock eventually manages to somewhat control the Venom symbiote the offspring tend to be more murderous and uncontrollable leading to confrontation. 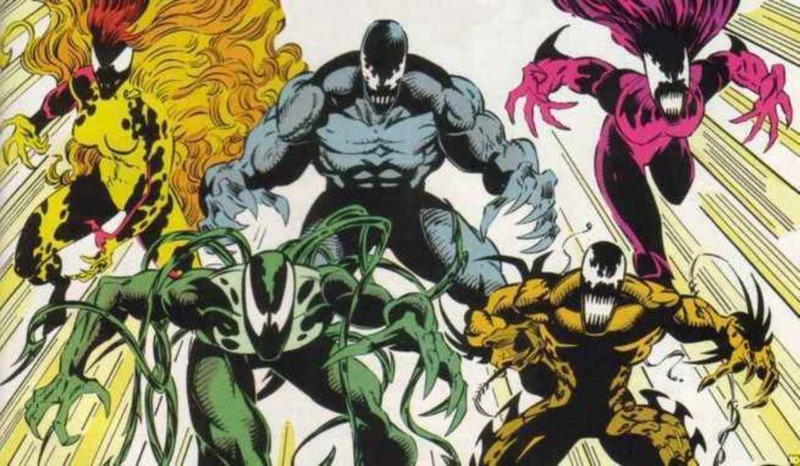 Some of these villains are going to be featured in the Venom film. 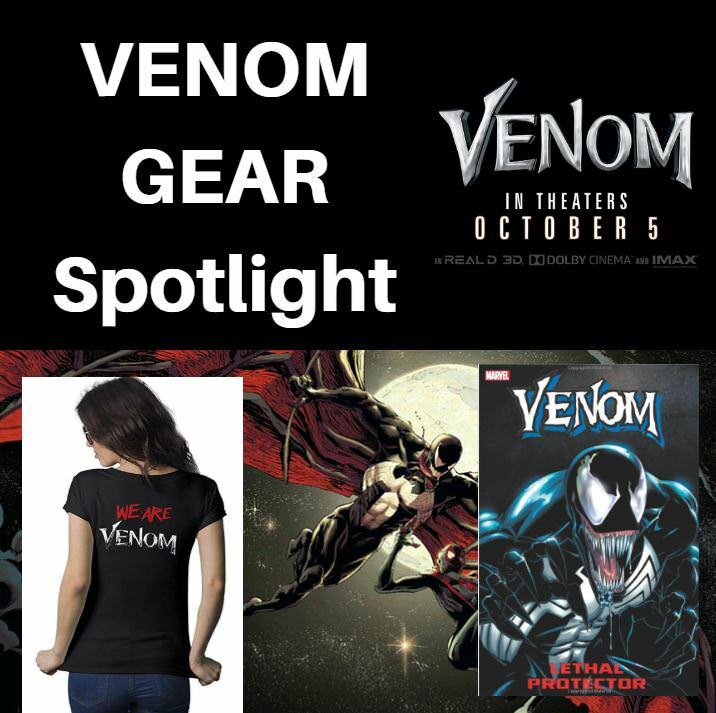 The main villain of the film is rumored to be the Symbiote Riot. In the comics Riot is one of five symbiotes created in the story called Lethal Protector. In that story a group called the Life Foundation has the goal of constructing Doomsday proof societies by creating super police. They begin to experiment on the Venom symbiote. 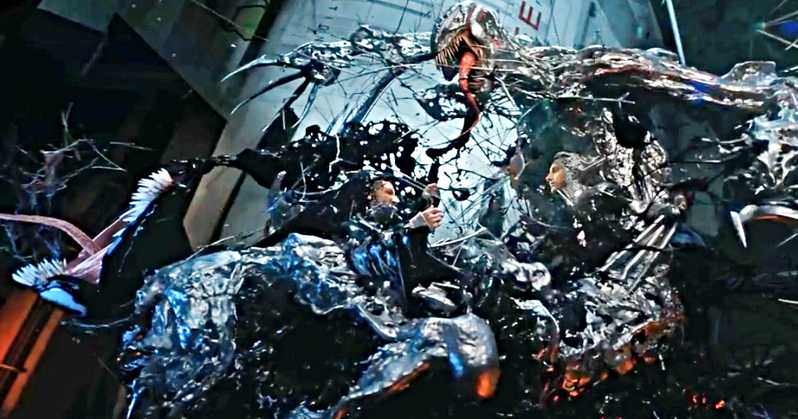 The Venom symbiote is an alien being that joins together with a host and is able to give the host various powers but threatens to take over the host entirely. While experimenting on the Venom symbiote five new Symbiotes are created that are basically the offspring of Venom. They are called Agony, Phage, Scream, Lasher and Riot. All the symbiotes have differing powersets with the most powerful being Riot. Riot is very similar to the Venom symbiote and is able to create weapons that are blunt rather than Carnage's bladed weapons. Speaking of Carnage he was not created by the Life Foundation but was also spawned from the Venom symbiote at an earlier time. Carnage joins with a psychopathic killer named Cletus Cassidy and the two go on a killing rampage. Carnage is considered to be the most powerful of symbiote offspring of Venom and is able to create bladed weapons out of its organic matter. 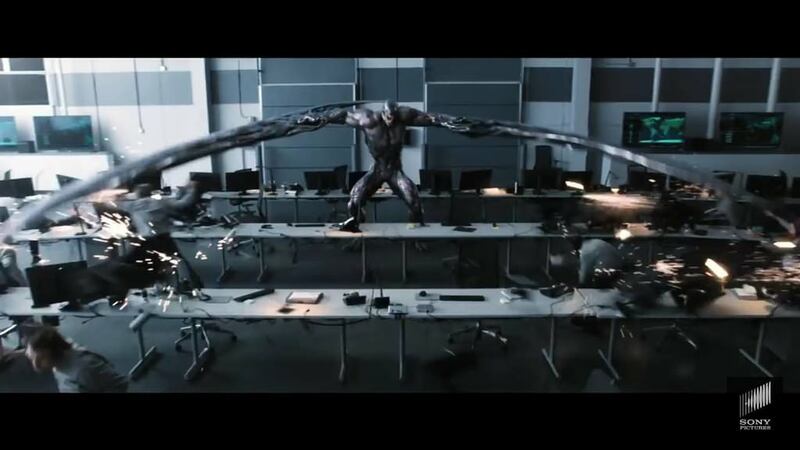 I do not think we will see Carnage in this film but he is possible for a sequel. Carnage led to the creation of one Spider-Man's most famous events called Maximuim Carnage. Maximum Carnage had Carnage breaking out and teaming up with a variety of ruthless Spider-Man villains to cause death, destruction and utter chaos throughout New York City. The Life Foundation story occured after Carnage and due to this Venom does give the new symbiotes much of chance believing they are predestined to become psychopaths like Carnage. More Symbiote Villains have been created over the years including Scorn, Raze, Toxin, Anti-Venom. These villains were further evolved offspring of the Venom Symbiote. I am not going to focus on them as I don't think there is any way these symbiotes will be used in the film. Instead we are going to focus on those symbiotes made by the Life Foundation. I have heard a few people ask about Knull and whether he could appear in the film. Lets talk a bit about Knull. Knull is the new super awesome new Venom villain. He is the god of the Symbiotes and is absolutely nuts. Will Knull be in the film, heck no they are far away from explaining Knull. I agree with all of you Knull fans out there. He is awesome but he is not a good villain to start a series with. He could certainly appear in a sequel of the Venom film though so don't give up all of you Knullite maniacs out there! Riot in the comics is depicted as a black and grey symbiote that looks very similar to Venom. It appears that this will carry over to the film. Riot looks fairly similar to his comic counterpart. One change is that the host of Riot in the comics was Trevor Cole a Life Foundation Secruity Officer but in the film it seems that it will join with Doctor Carlton Drake who is the head of the Life Foundation. It does look like in one scene that Riot is able to create bladed weapons so that is one other difference. I also think we will see some of the other symbiotes Phage, Scream, Lasher, Agony but likely in a more limited role. We do see a female host of one of the symbiote who makes a bladed hand. I am not sure if she is using the Riot symbiote or a different one. Life Foundation was attempting to create Super Cops when it used fire seeds to create Riot, Lasher, Phage, Scream and Agony. These symbiotes were attached to secruity personnel of the Life Foundation. 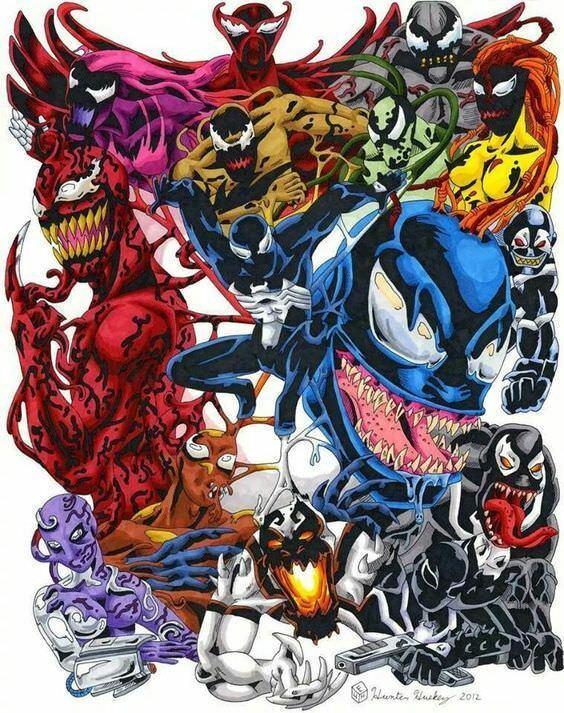 The original story did not name these symbiotes however they did become popular with fans and took off on their own. They were eventually named in Venom: Planet of Symbiotes story and in the 2011 series Carnage U.S.A.
Agony - Attached to Leslie Gesneria. She is depicted as violet colored symbiote. Phage - Attached to Carl Mach. Phage is a golden yellow and black symbiote. Lasher - Ramon Hernandez. - A green Symbiote who can turn his organic matter into whip like weapons. In the comics Agony, Phage, Riot and Lasher were murdered by Scream as hosted by Donna Diego which she decided they were evil. However, this did not go as she panned as she killed the hosts but the symbiotes remained alive. The symbiotes were stored alive in a special prison called the Vault but at one in the comics they escape. The symbiotes of the murdered guards began fusing together creating a powerful united Symbiote called Hybrid. They jump on to a guard of the vault as a host called Scott Washington. 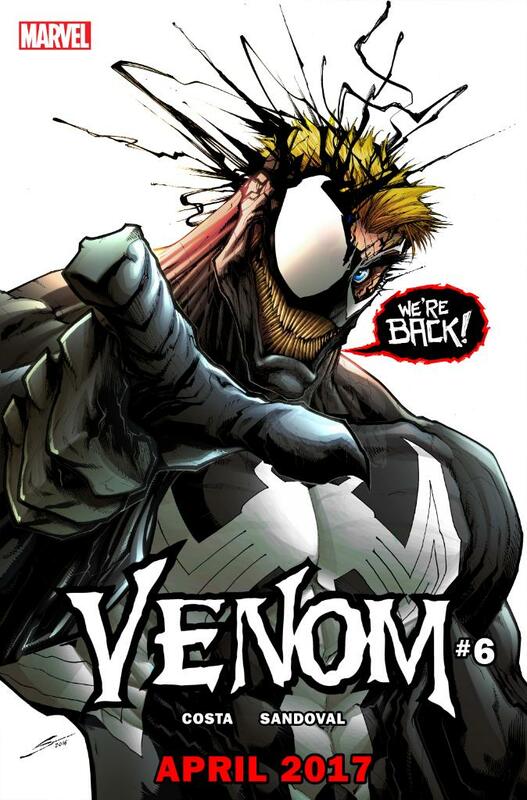 Venom attempts to kills Hybrid during a quest to kill the remaining evil symbiotes on Earth. Hybrid though and all the symbiotes that make him up survive. The US government then creates a super Symbiote hit team using the original symbiotes that make up Hybrid. This team is called Mercury Team. These hosts do not last long as Carnage manages to kill them however the symbiotes all join onto Deadpool who with their combined forces manage to defeat Carnage. After Carnage's defeath the remaining symbiotes attach themselves to the surviving Mercury team dog. 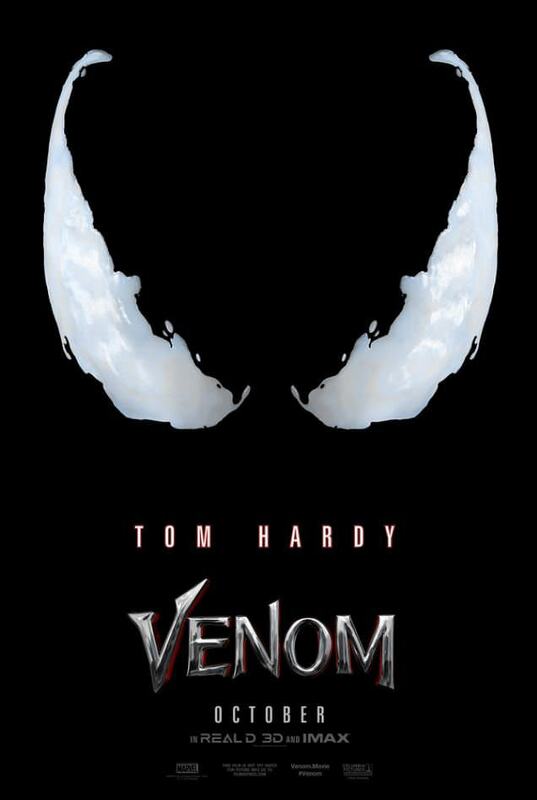 My guess is that the Venom film focuses heavily on Eddie coming to terms with Venom symbiote and eventually battling the more murderous symbiote Riot. So you can do what you want with the rest of this information. There are also a lot of great Venom comics to check out. The current series by Donny Cates is amazing, the film is most influeced by the Lethal Protector series, and I also recommend checking out the Planet Symbiotes storyline. Here are some of our favorites that were found on Amazon.